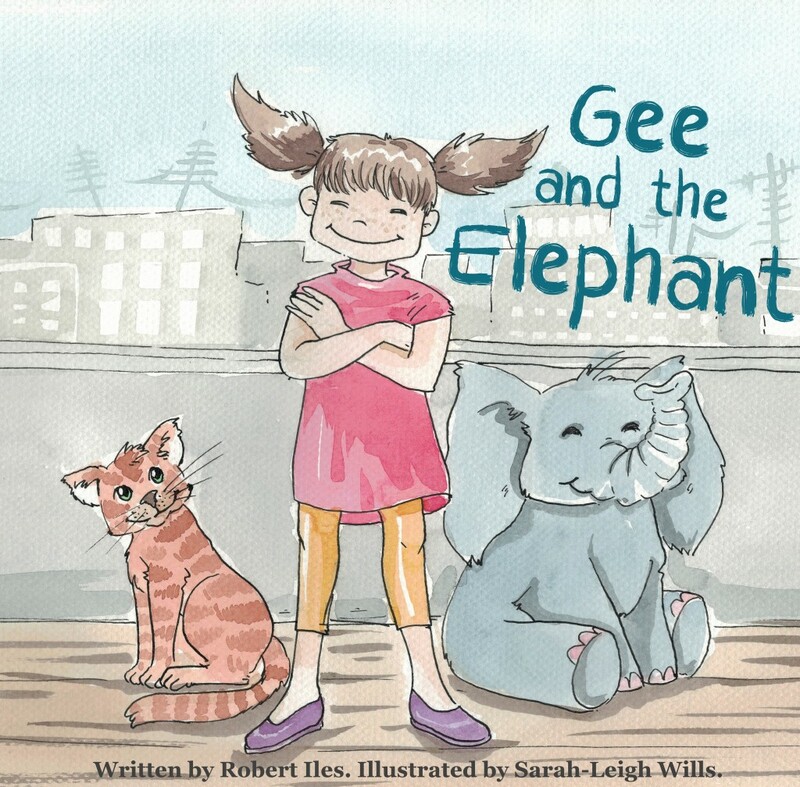 Gee and the Elephant, my first completed illustrated children’s book is now available for your Kindle directly from Amazon at the outlandish price of £0.99 including VAT! Hardcopy books are currently being produced and will be available shortly (UPDATE: books now available) with a cover price of £6.99 but in the meantime, this is my first Kindle publication and the production of it was fairly easy thanks to their tools and the great images I had to work with. Of course, checking across every possible Kindle device and viewer is tricky and there’s a bit of a learning curve, but I’ve tried my best to get it to lay out properly in any likely circumstance. 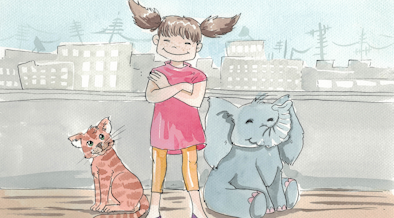 The story, which was originally being written for my Goddaughter’s eighth birthday (she’s now sixteen!) appeared in unfinished form as a core theme in my one-act play Headcase, a ghost story I wrote and produced for festivals a few years ago. After our production of the play I was encouraged by several people to finish the poem and then spent nearly a year trying to get a publisher interested (some take over 7 months to respond). In the end I decided to go it alone and found myself an illustrator, Sarah-Leigh Wills, whose work I admired and 5 months later here we are with a finished product! I did investigate CreateSpace as an authoring (and even illustration) approach as they originally had a Children’s Book package, but they withdrew that and, although their print fees are very reasonable, the demands of their print-ready input are beyond the effort I currently have available 😉 I may revert to using them later when I can rebuild the PDFs to the exact format they require. Meanwhile, perfect bound copies will shortly be rolling off a local short-run press ….